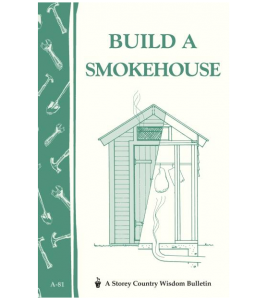 Learn to build four different types of smokers and smokehouses in your backyard with this informative booklet. Since 1973, Storey’s Country Wisdom Bulletins have offered practical, hands-on instructions designed to help readers master dozens of country living skills quickly and easily. There are now more than 170 titles in this series, and their remarkable popularity reflects the common desire of country and city dwellers alike to cultivate personal independence in everyday life.